Trigeminal neuralgia, more commonly known as TN, is one of the most severe chronic pain conditions known to modern medicine – and because it’s both so severe and so little-known, caring for a loved one suffering from TN can be extremely difficult. TN is an unpredictable disease that can strike with little to no notice, and that uncertainty can compound the difficulty of caring for a sufferer. At OC CyberKnife, we can use CyberKnife radiation therapy to treat some patients with TN – but beyond just providing treatment, we want to be a comprehensive resource for dealing with TN. Here are a few tips for caring for a loved one who suffers from trigeminal neuralgia. 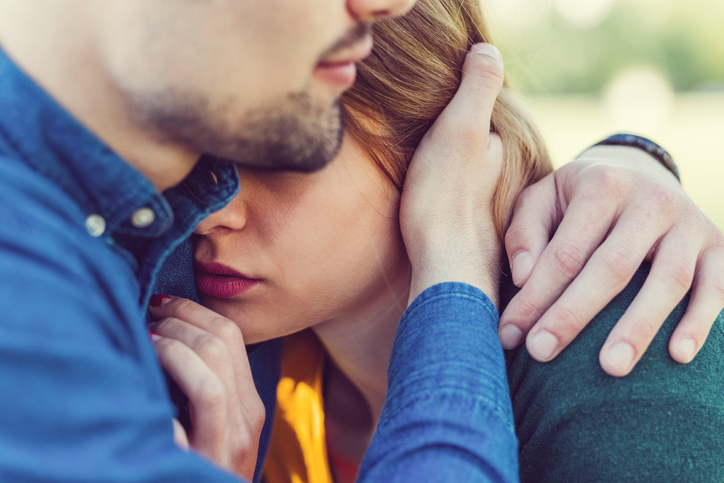 Importantly, your loved one may be in so much pain during an attack that they’re physically unable to respond to you, so if you notice an attack coming on, try to avoid asking questions or doing anything to disturb the sufferer. TN attacks often occur in response to a specific trigger such as wind across the face, brushing teeth, or even eating a meal, so you should work with the patient to devise strategies to avoid these triggers and minimize chances of an attack. Generally, symptoms of trigeminal neuralgia are treated by using anti-seizure (antiepileptic) medications, which work to suppress electrical impulses in the brain. As a result of this, patients may suffer side effects like memory issues, slowed thought, confusion, forgetfulness, and many other cognitive issues. As a caregiver, try to look out for this and be understanding if your loved one has trouble remembering important dates or repeats themselves during conversation. While you should avoid taking over their life, it can be helpful to watch out for them and try to pick up any slack when they’re having cognitive issues. TN can be an incredibly difficult condition to deal with, and it can prove taxing for both the patient and the caregiver. If you or a loved one are suffering from TN, however, there’s always hope. At OC CyberKnife, we can often use noninvasive treatment solutions to treat TN at the source, helping to alleviate symptoms and set our patients on the road to recovery. Call us today at 714.962.7100 if you have more questions about how we may be able to help if you or a loved one have TN. Working together, we can help treat trigeminal neuralgia and help you and your loved ones reclaim a normal life – contact us today!